Michael Fassbender is certainly one busy guy as 2016 will see Fassbender not only return as Magneto in X-Men: Apocalypse, but in at least three other films, maybe (possibly) even four. With an Untitled Terrence Malick project still sitting on the shelf one never knows what could happen. The actor also has Tresspass Against Us (directed by Adam Smith and co-starring Brendan Gleeson) and his re-teaming with Macbeth director Justin Kurzel on the video game adaptation Assassin's Creed set for a December release, but the one I'm most excited about is the latest from director Derek Cianfrance that pairs Fassbender with real life love interest Alicia Vikander and is based on M.L. Stedman's New York Times bestseller. Cianfrance has previously made the gut-wrenching Blue Valentine and the family epic The Place Beyond the Pines, the latter of which was one of my favorite films of 2013. So, to have another of his films on the horizon is a real treat. Cianfrance has adapted Stedman's debut novel, The Light Between Oceans, about a lighthouse keeper and his wife living off the coast of Western Australia who raise a baby they rescue from an adrift rowboat. Fassbender is lighthouse keeper Tom Sherbourne with Vikander (Ex Machina, The Danish Girl) playing his wife, Isabel. This first glimpse at the film via international trailer makes it clear the reasons Cianfrance felt motivated by the material and what drew it to him in the first place. The familial dynamics and the confrontations within the central relationship are prime Cianfrance territory that will undoubtedly allow him to explore the complexity of human emotion and how two entities of such strong emotions can intertwine over the plot that carries this story. 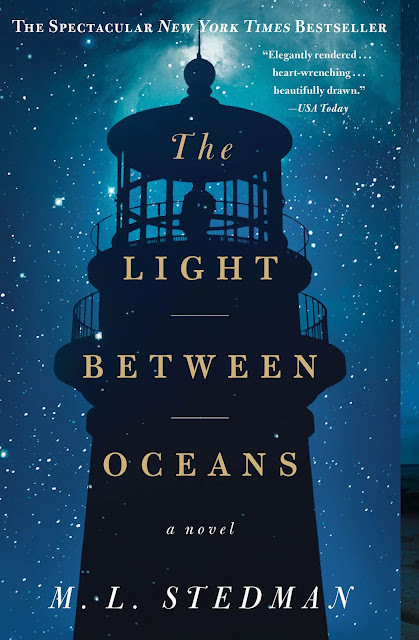 The Light Between Oceans is one of my most anticipated of the year and also stars Rachel Weisz, Caren Pistorius, Benedict Hardie, Emily Barclay, Anthony Hayes, Leon Ford, Florence Clery and opens in the U.S. on September 2nd, 2016. Synopsis: After four harrowing years on the Western Front, Tom Sherbourne returns to Australia and takes a job as the lighthouse keeper on Janus Rock, nearly half a day’s journey from the coast. To this isolated island, where the supply boat comes once a season, Tom brings a young, bold, and loving wife, Isabel. Years later, after two miscarriages and one stillbirth, the grieving Isabel hears a baby’s cries on the wind. A boat has washed up onshore carrying a dead man and a living baby.